Team Canada, led by flag-bearer Phil Badanai, was met with enthusiastic applause at kick-off to a week of adaptive sport for military members who became ill or injured during service. 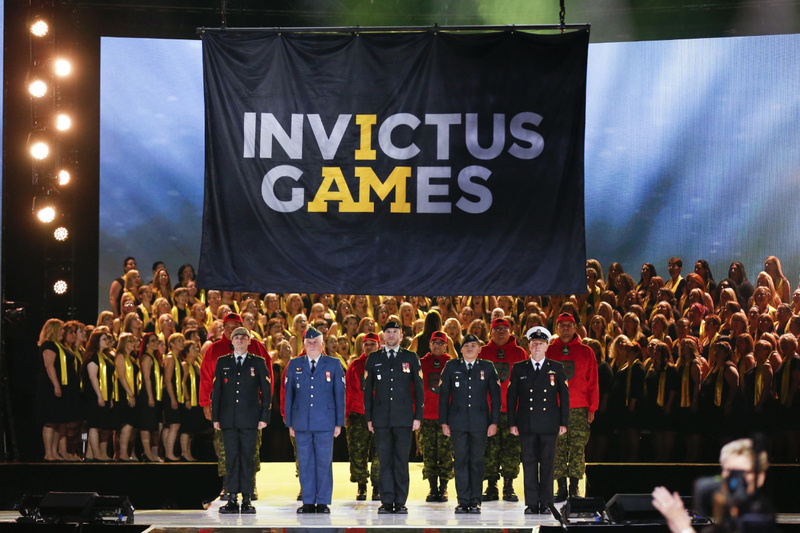 The 500 wounded veterans who will be competing in Invictus Games events for the next week will doubtless inspire many: fellow veterans, current servicemen and women, spectators, and people both disabled and able-bodied. “You’re not just here to inspire, you’re here to win,” said Prime Minister Justin Trudeau in welcoming the athletes during the opening ceremony at the Air Canada Centre on Saturday night. Team Canada was met with enthusiastic applause at the opening ceremony. Led by flag-bearer Phil Badanai, the team of 90 athletes capped off the introduction of the 17 countries competing at the Games. Sunday kicks off a week of adaptive sport for military members who became ill or injured during service. About 550 competitors from countries as far-flung as Afghanistan, Italy, Ukraine and New Zealand are taking part in 12 sports in the annual event, which was created by Prince Harry and aims to help the war wounded, many grievously, with their recovery.